Kinobe apparently scored one of the biggest chillout hits of the Noughties with ‘Slip Into Something More Comfortable’. Known from dancefloors, club backrooms, bars, radio spins, streaming playlists, Café del Mar compilations and TV spots the world over, most famously the ‘femme fatale’ Kronenberg beer advert, the track established the duo in a scene that still includes Groove Armada, Air, Thievery Corporation, Royksopp and Zero 7. Now Kinobe are back with new single ‘Little Words’ plus album ‘Golden Age’, ready and set for a 31 August release. Founder member and songwriter Julius Waters is joined by Chuck Norman, a multi-instrumentalist, producer and programmer who has worked with the Pet Shop Boys, The Pretenders and Robbie Williams. 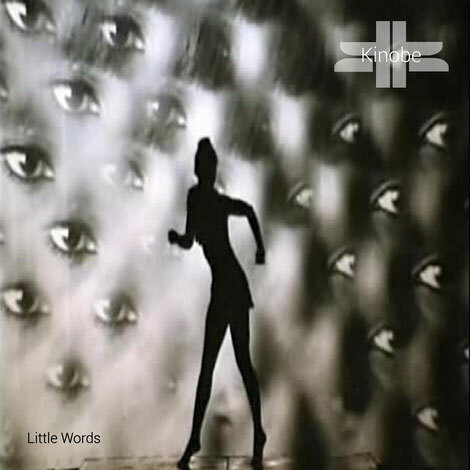 Melodic and aiming to soundtrack the summer and beyond, the chillout artists kick-off with new single ‘Little Words’, a Donny Hathaway-esque, soulful slice of too-slow-to-disco that nods towards ‘60s hipster groovy and is topped by an already familiar sounding but original song. ‘Little Words’ is the lead single from the forthcoming ‘Golden Age’ album, a 13-track soundscape of songs and idiosyncratic instrumentals that is vintage Kinobe.